The ecological communities built by corals are some of the most biodiverse in the world, and the current rate of climate change threatens their long-term persistence, with mass coral bleaching events becoming more frequent. 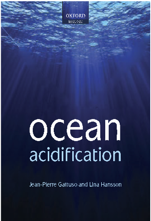 Ocean acidification (OA) is one consequence of increased atmospheric CO2 that results in changes in seawater carbon chemistry with the potential to impact organisms that rely on seawater dissolved inorganic carbon (DIC) for calcification, photosynthesis, or both. Corals are unique animals that participate in a symbiotic relationship with dinoflagellate algae of the genus Symbiodinium spp., in which the algal symbionts translocate most of the products of photosynthesis to their host coral. To fuel photosynthesis, the algal symbionts must obtain inorganic carbon from seawater via their coral host. As such, symbionts may be particularly sensitive to the changes in the seawater DIC pool that will result from ongoing OA. Projected increases in seawater bicarbonate (HCO3-) ion concentration associated with OA may act to supplement symbiont photosynthesis, and could potentially mitigate that effects of other stressors that lead to photoinhibition and subsequent production of reactive oxygen species (ROS). ROS may ultimately trigger coral bleaching. 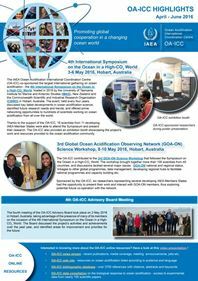 The research presented here focuses on the effects of ocean acidification, specifically bicarbonate enrichment, on the photo-physiological stress response of two representative octocoral species, Sympodium sp. and Sarcothelia sp., and their symbionts. Bicarbonate enrichment experiments were carried out and fluorescence microscopy was used to visualize the production of ROS in hospite (within the host) in light stressed colonies of both octocoral species. Additional bicarbonate enrichment experiments were conducted in which oxygen metabolism was measured in colonies of Sympodium sp. The results presented here suggest that bicarbonate enrichment may act to alleviate oxidative stress resulting from photoinhibition, possibly by supplementing symbiont photosynthesis under saturating irradiance. Golladay J., 2018. Bicarbonate enrichment may mitigate oxidative stress in two octocorals and their photosynthetic symbionts. MSc thesis, Northern Illinois University. Article (restricted access).